Keep your clothes and apparel secure and off the ground using Morgan's plastic clothes pegs, perfect for hanging socks, t-shirts, sheets, towels and other items on your clothesline, even on windy days. 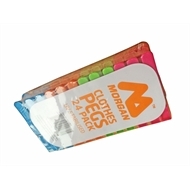 Designed to provide your laundry with ultimate protection, these pegs are built with a firm plastic construction, and durable steel spring a strong hold each and every time. 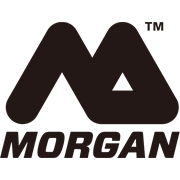 Resistant to weathering and corrosion, Morgan’s pegs ensure repetitive and prolonged use, while leaving your laundry stain free and in one piece.